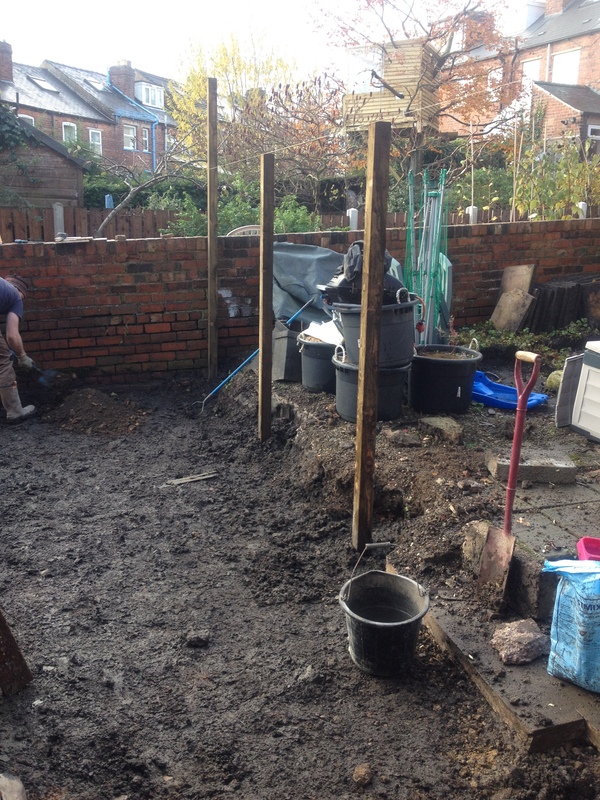 Site at the beginning of ground works and placement of fence posts. Site after removal of tarmac and concrete. A Small courtyard garden overlooked by neighbours. 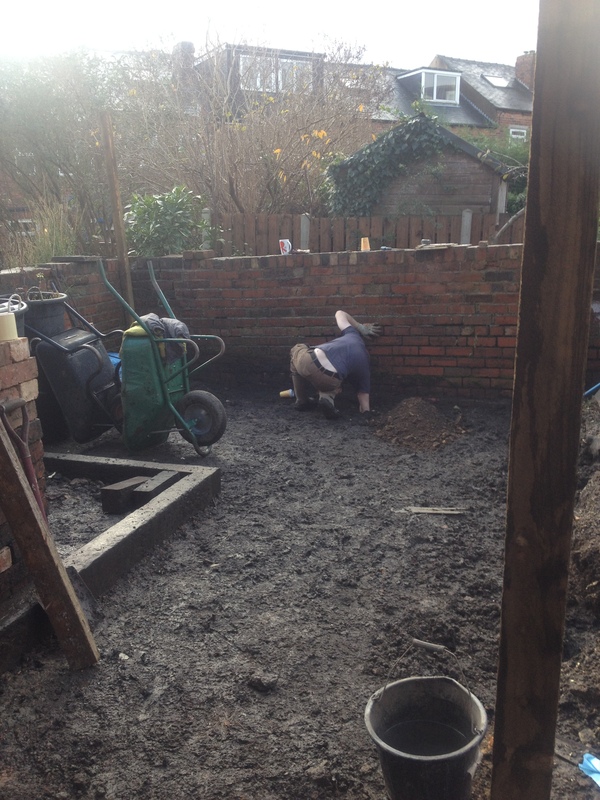 To build a walled seating area with some space for minimal planting and to incorporate some storage beneath the seating. 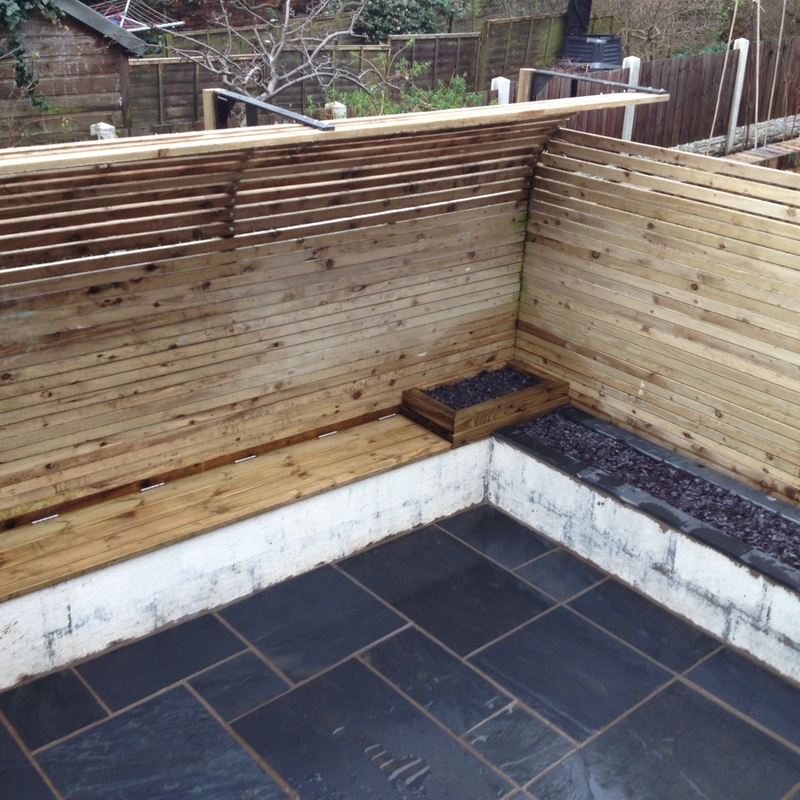 To enclose the area with a slatted horizontal fence to maintain some light but a sense of privacy. At the rear the fecnce would curve over the seating area to give a better sense of enclosure and privacy. 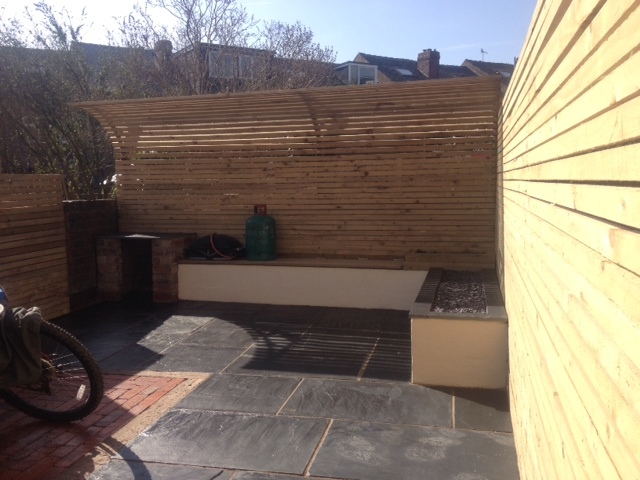 Create a brick barbecue to one corner. 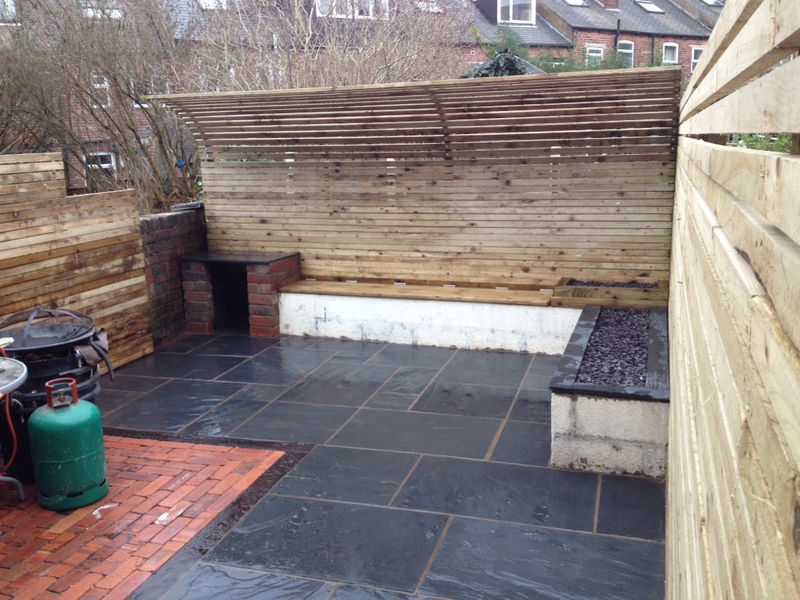 A small seating area of re-claimed brick block paving to break up the paved space. 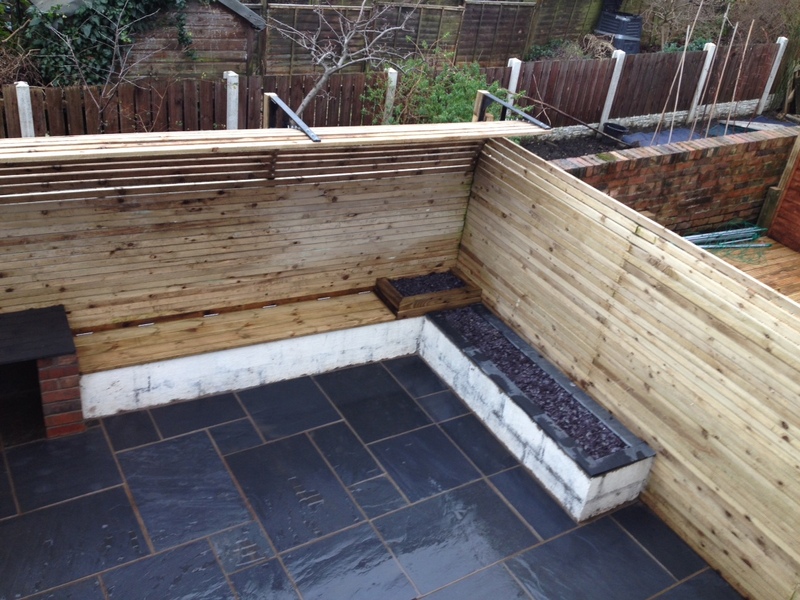 Project with slate paving, brick barbecue, and seating area with storage beneath. Waiting for coat of paint/render. 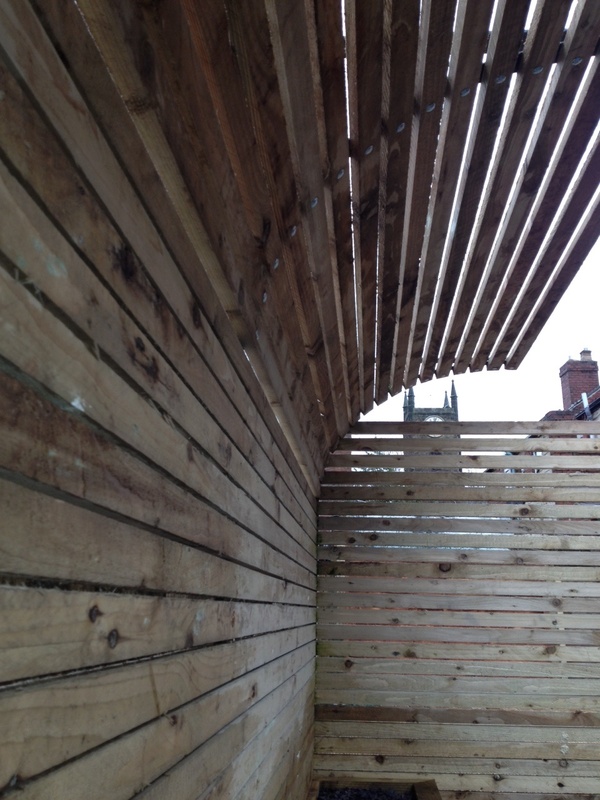 Bespoke brackets creating curve to rear fence.